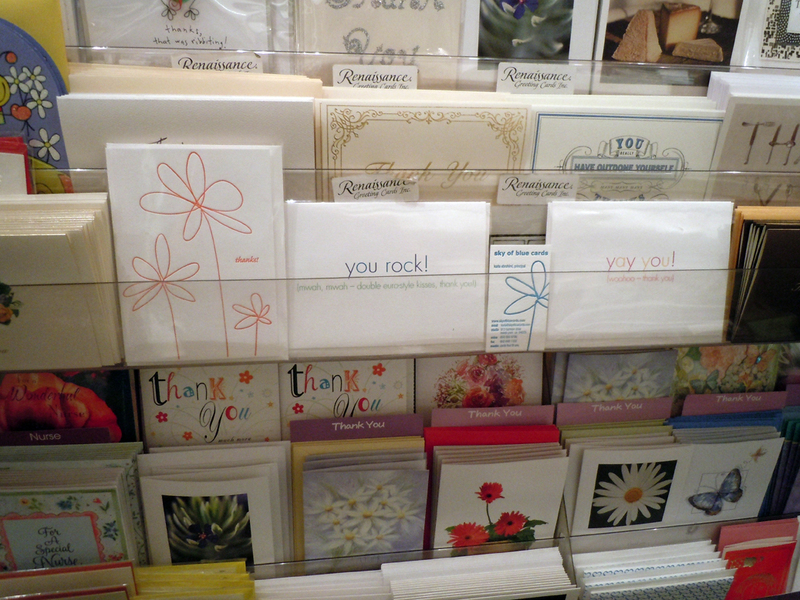 One of our favorite stores where our cards are sold is right here practically in our own backyard. 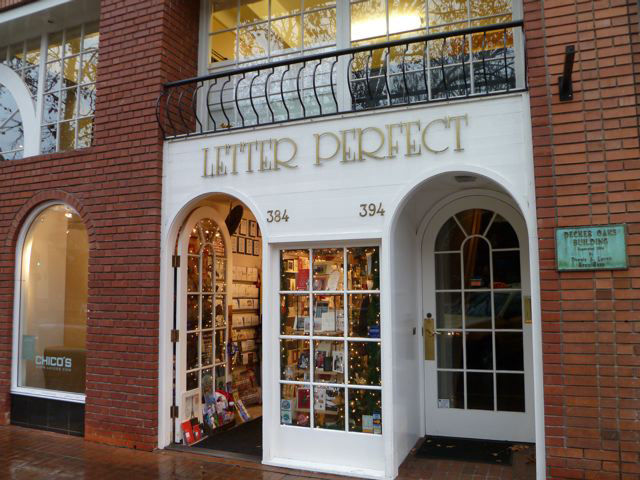 Located in the heart of Palo Alto on University Avenue, Letter Perfect is locally owned and operated by the lovely Gwen Gasque and she fills her store with all sorts of beautiful paper treasures. When I tell people around here that they can buy my cards in Letter Perfect, I always get comments like, “Oh, I LOVE Gwen!”. Her store is warm and inviting and filled with all sorts of delights – greeting cards, elegant fine stationery, gorgeous albums and journals, and custom stationery for every imaginable occasion. We feel so proud to be a part of this store. When they first started carrying our line, Gwen told me that they did a little window display of our products, which was a dream come true for me. 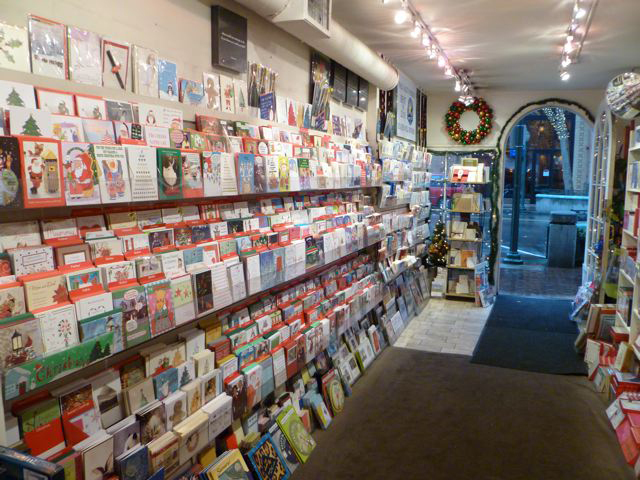 In fact years ago before I started Sky of Blue Cards, I would walk by Letter Perfect, or stop in for a card, and I would just dream of having my cards sold there one day. 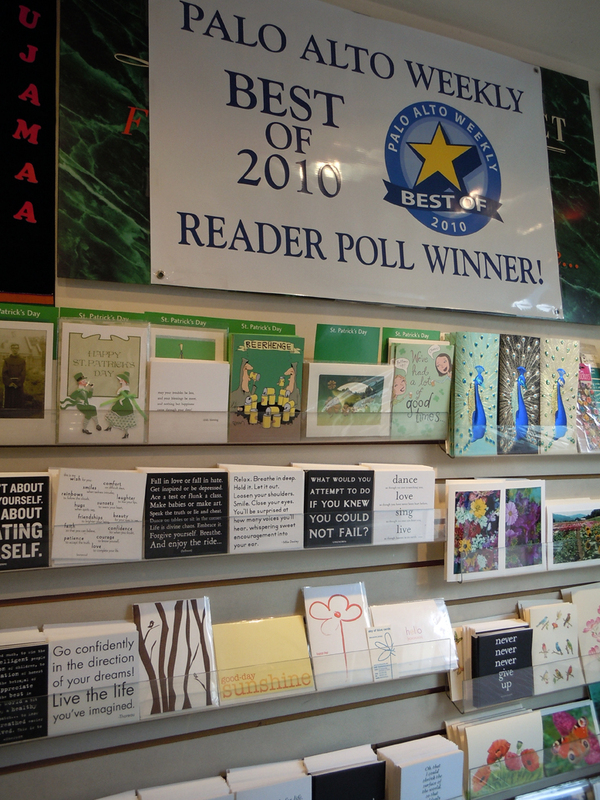 Letter Perfect is the proud winner of many awards and local reader polls, as evidenced in the banner in the photo above (pssst, those are our note cards and thank you cards). 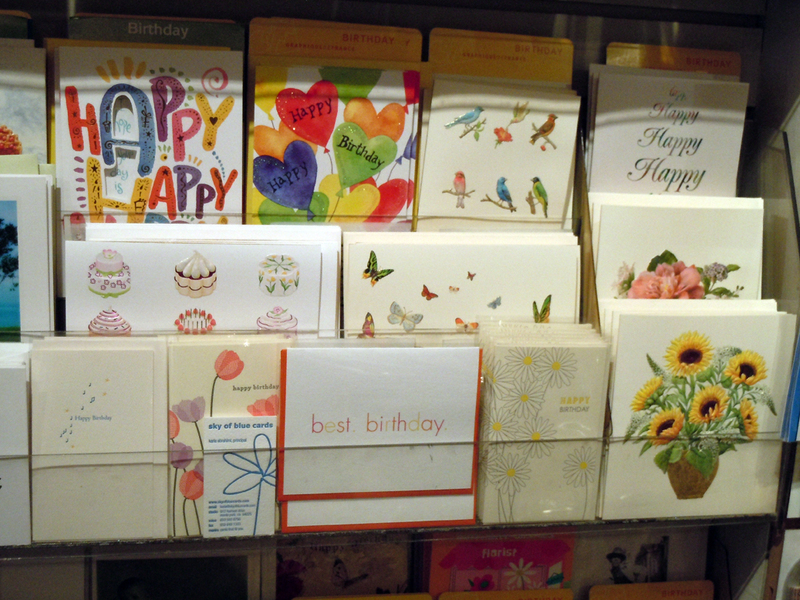 Next time you’re in downtown Palo Alto make sure you stop by Letter Perfect, where you are sure to find the perfect card.